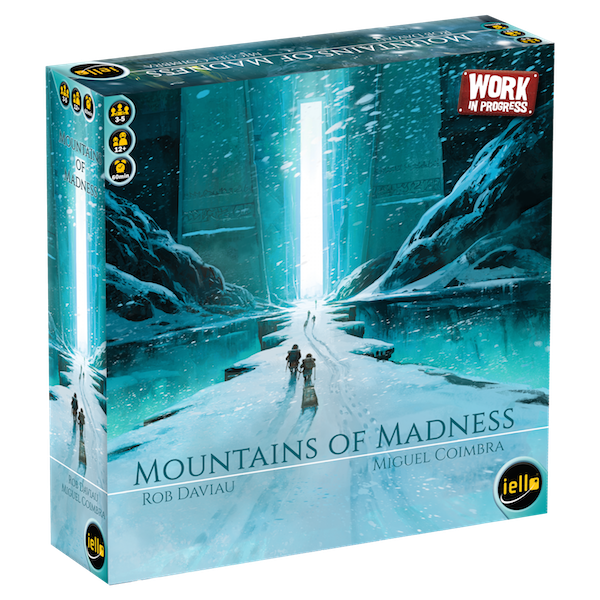 Mountains of Madness is a cooperative game where you and your team are attempting to climb the ominous sounding Mountains of Madness. The higher you climb, the more likely it is that you’ll be struck with madness. For each step up the mountain, you’ll turn over a card. The card will require the leader of the group to gather the correct equipment from their teammates in just 30 seconds. That sounds pretty simple. But as you gain madness cards, your play will be negatively impacted. For instance, you may have to only speak in questions, or only answer with a yes or a no. If you don’t get the equipment you need in 30 seconds, you will get an injury. But if you succeed, you will get a bonus card. At the end of the game if you have more bonuses than injuries, you win. Mountains of Madness seems like a super high energy, fun, stressful, and kind of ridiculous game. I love cooperative games, and this seems like just the right level of difficulty. I’m also excited to see just how mad I go. Unfortunately I won’t be able to buy this at Gen Con, but I will be able to demo the game, which I’m definitely going to do. Mountains of Madness comes out in mid October, is for 3-5 players, and takes about an hour to play. The concept of Bemused is that everyone is playing a different muse who is trying to elevate their artist. Devious Weasel describes the game as a social interaction, bluffing and deal-making game, not as a social deduction game. Each muse will have a hand of dread and doubt cards that they will be playing onto the other muses’ artists. If your artist ever has five dread and/or doubt cards on them, they go insane. Becoming insane doesn’t take you out of the game. They can still play cards, though in a limited fashion, and they can still win. Once your artist is insane, if they ever have more dread than doubts, they die and become a fantasma that haunts the rest of the players. A fantasma can still win as well. Bemused is billed as a game that encourages table talk, bluffing and deal-making between players. The game is asymmetrical, which intrigues me. I’m also interested to see exactly how the game works and how intuitive it is to play. The description of the rules seems a little convoluted, so I want to see how easy it is to learn. I’m excited that even after a player goes insane and then dies they are still part of the game. It’s never fun to be knocked out of a game quickly and then have to sit around and wait for everyone else to finish playing. It’s a short game, only about 15-30 minutes, which is also attractive to me. The game can hold 4-6 players, which also interests me because we often have game groups of that size, and it would be nice to find a social game that isn’t a social deduction game. 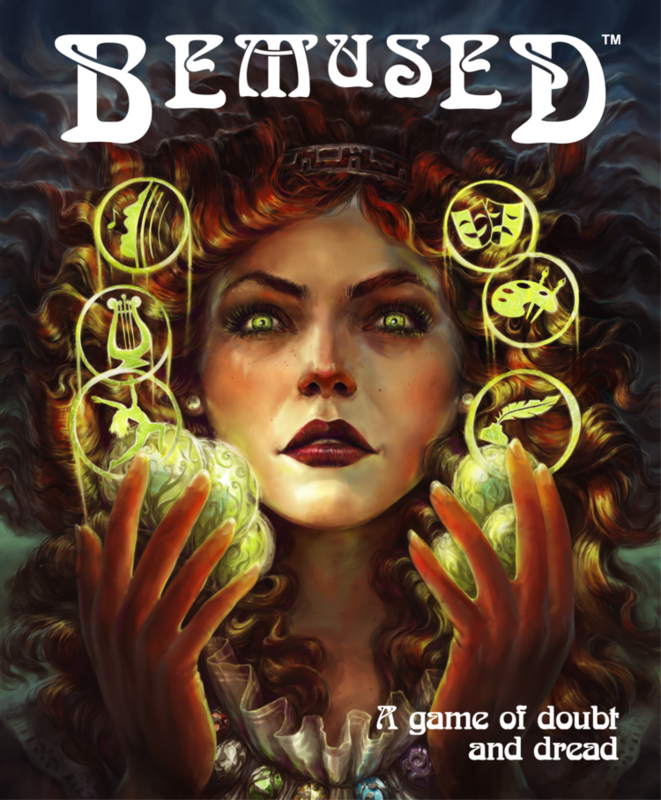 Bemused’s MSRP is $24.95, which is the sweet spot price-wise to me for quick, social games. Farlight is set in the near future where organizations are competing to explore, mine and colonize outer space. Your goal is to design the most efficient and powerful spacecraft. Each turn players will be bidding on spacecraft module designs or missions. They will also be assembling their different spaceships and then launching them into space to complete missions. Game Salute says that the game mechanics revolve around blind auctions, tile placement and some resource management. I’m already attracted by the theme of building different ships and exploring space. What really intrigues me is that the game plays in under an hour. For me, if something plays that quickly, the rules have to be easy to learn and there should be a lot of replay value. I’ll be curious to see how easily it can be taught and how much it leaves me wanting to play again. 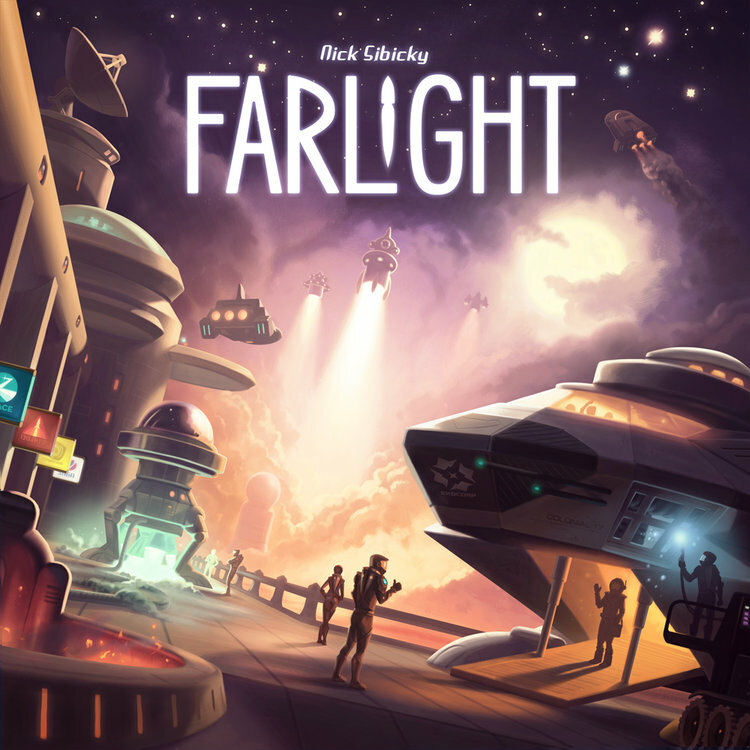 Farlight is for 2-5 players, takes about 45 minutes to play and costs $25. 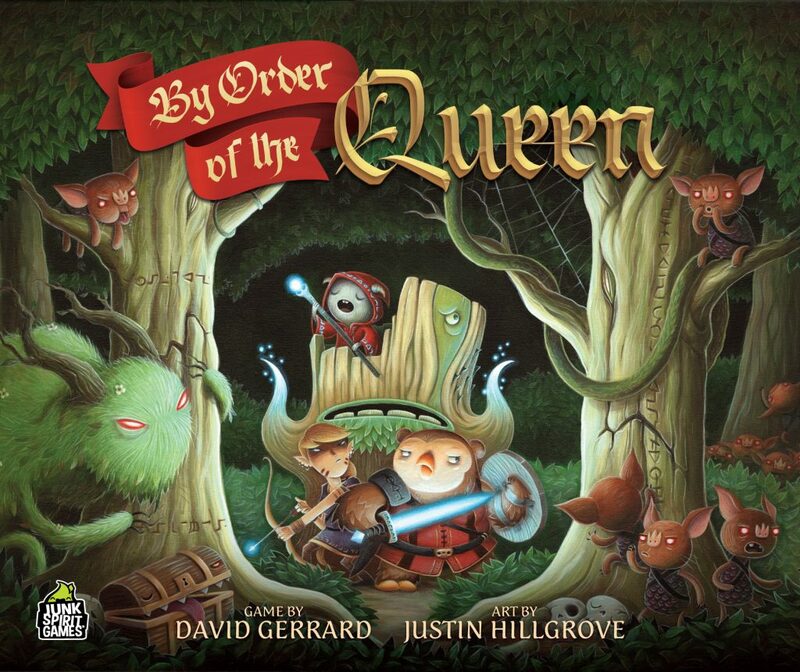 By Order of the Queen is supposed to be a game that gives players the experience of an RPG campaign in just 90-120 minutes. Right off the bat, this catches my interest. I love RPG’s but it’s quite hard to wrangle people for a weekly game, thanks to our crazy schedules. So I’d love it if this game’s claims of giving you a full campaign experience were true. Players take on the roles of the Guildmasters of the kingdom. They must work together to assign heroes to protect the realm. You’ll partake in quests, which are all like mini choose your own adventure experiences, and you’ll fight monsters. I am skeptical about the ability of this game to deliver on their promise of an entire campaign experience in just 90-120 minutes. I’m looking forward to demoing this at Gen Con though. By Order of the Queen is for 2-4 players and costs $64.99. Okay, so when I first heard the name of this board game, I figured it would be something cute and adorable. I was so very wrong. Tulip Bubble takes place in 1637 when a tulip craze wrecked havoc on the market. Coveted tulip varieties led to people jacking up the prices. It got so crazy that some tulips cost more than houses in Amsterdam. But then the bubble burst, and investors were left devastated. Players must buy and sell on a fluctuating market to try and earn the most guilders. The game cycles through a preparation phase, buying phase, and selling phase. This continues until either the bubble collapses or one of the players manages to outsmart the market and buy a black tulip for 120 guilders. Normally a stock-focused game would not really interest me. But the theme of this game is just so incredibly unique and interesting that I just have to give it a try. 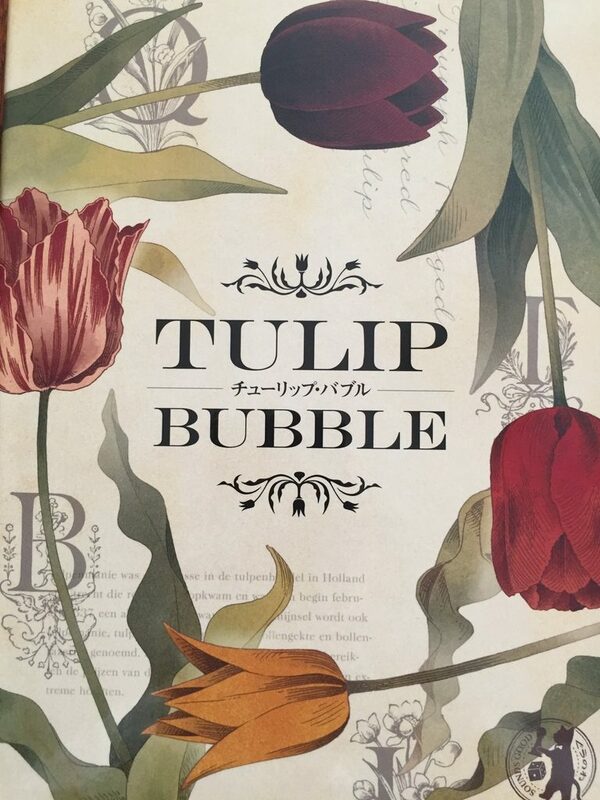 Tulip Bubble is for 3-5 players and takes about 45-60 minutes to play. In Ex Libris, you and your book collector colleagues are competing to become the Grand Librarian on the City Council. In order to secure the position, you’ll need to send your assistants out to find the most impressive books as they pop up around the village. You’ll also want to make sure that your library is well-organized. The Official Inspector will be checking to see that they’re in alphabetical order, that your shelves are stable, and what kind of variety you have. Like Tulip Bubble, Ex Libris’s theme caught my interest immediately. I love books, so I love the thought of playing as a rare book collector. The game is for 2-4 players and is supposed to play in 45 minutes. It sounds like it should be pretty fast-paced, which is a bonus for me. 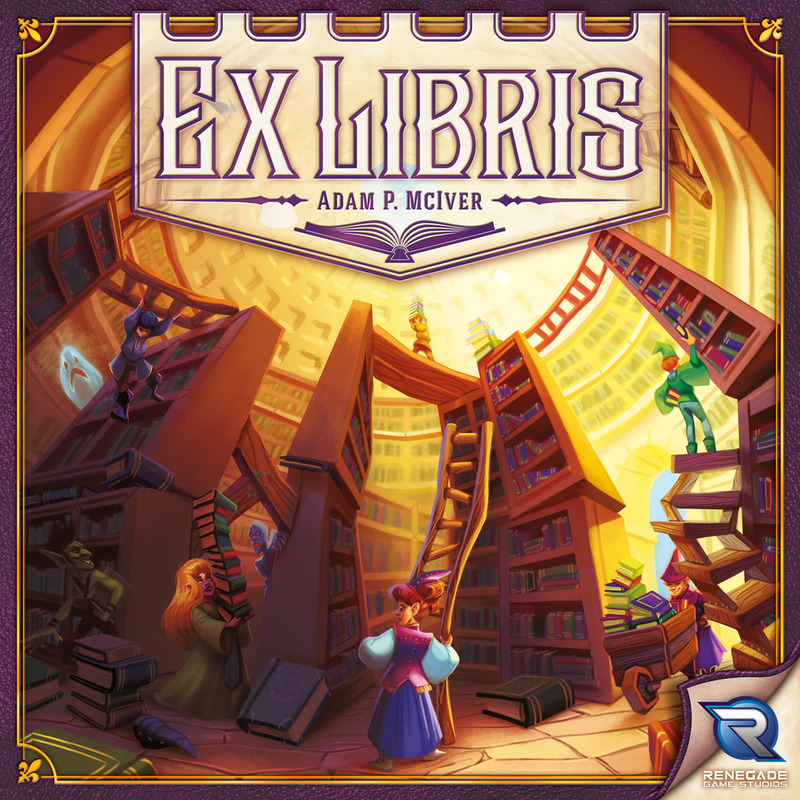 In general, Ex Libris sounds like a solid game and a good addition to my library (pun very much intended)! I’m excited to try it out at Gen Con. It retails for $60. 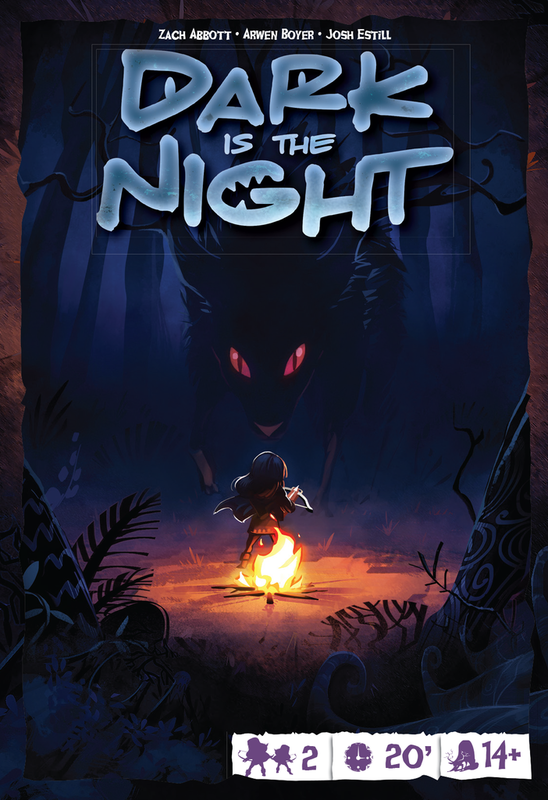 Dark is the Night is an asymmetric two-player board game where one player gets to be the hunter and the other is the monster. The hunter will move around through the lit areas around the campfire, while the monster secretly moves around the darkness outside the light of the fire. Each player has their own limited arsenal of tactics and tools at their disposal. While their mechanics are different, their goal is the same: eliminate the other player before daybreak. I don’t have a ton of great two-player games on my shelves, so I’m looking to expand that collection. I am attracted to the fact that it’s an asymmetric game and that it has hidden movement. I’m interested to see what the exact mechanics are and how much replay value the game has. I also like the fact that the hunter is a girl! Dark is the Night is for 2 players, takes about 15 minutes to play, and will retail at $20.